Skyscrapers in Dubai Marina, Dubai, United Arab Emirates. Skyscrapers in various stage of construction at the northern end of Dubai Marina, located on Dubai's Persian Gulf coast. The twisted tower at centre is Infinity Tower. Construction began in 2006, and was scheduled for completion in late 2012 at a height of 300 metres, with 80 floors. 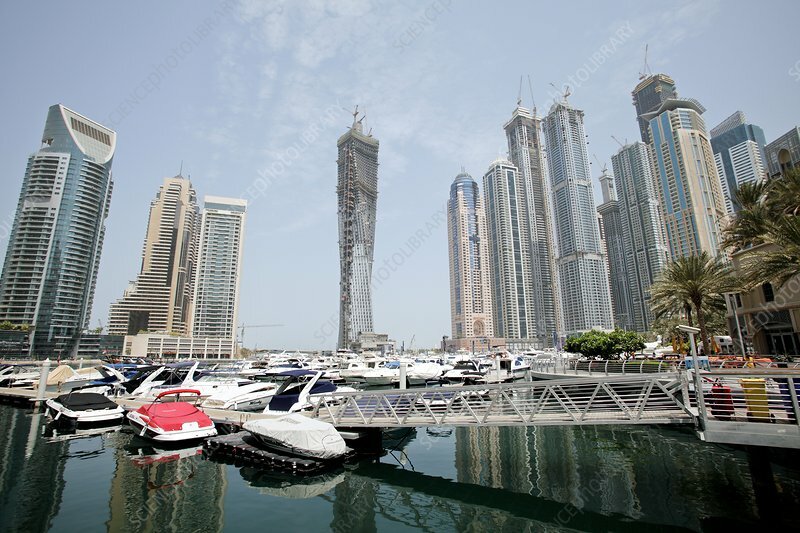 The development of Dubai Marina involves more than 40 skyscrapers that will house over 120,000 people.